My dream cover, thanks to Penelope Dullaghan! Friends, Ash and Starlight: Prayers for the Chaos and Grace of Daily Life is now available for pre-order on both Amazon and Chalice (with more sites later on). All thanks and praise to God – the One who brought this into being amid years of grief, joy, pain, ambiguity, and the call to trust. My deepest prayer is that this book blesses and builds the beautiful threads of connection in your life – with God, with others, and with your own soul. I cannot thank the amazing Penelope Dullaghan enough for making the cover of my book a dream come true. The story about how this cover came to be is in and of itself a testimony to the Spirit’s holy and surprising work. My hope for you is to find in these pages a prayerful companion for your own journey. This book encompasses prayers for your inner landscape and outer rhythms. There are prayers for what you’re feeling and prayers for the year’s seasons. 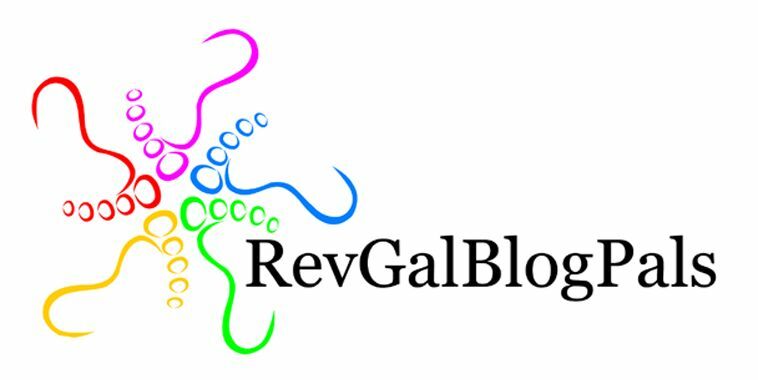 So many of you have prayerfully journeyed with me in the posts of this blog or in the years of congregational ministry. These prayers can be starting spots for your own – a springboard from which you offer to God the unique thoughts and feelings you need to let loose. Or these prayers can also be a place for you to rest. I have been so thankful for the prayers of others when I myself didn’t have it in me to pray – or didn’t want to. The book encompasses prayers for centering, confession and release, guidance and transition, waiting and struggle, comfort and strength, trust, and seasonal times of year. Each prayer offers voice to a particular place in your heart or life….“When I need perspective at the start of the day,” “When I want to numb, avoid, and block,” “When I’m in the messy middle of something,” “When I need to trust where I am is right,” “When I can’t sleep,” “When I need to know if this thing can life again,” “When I need some steadiness,” “When I’m headed to work,” and more. Following each prayer are Scripture references connecting with the themes of the prayer. They provide nourishment and wisdom for further meditation. As God works in your beautiful heart, you will see how the experiences and emotions you want to leave behind are actually integral to who you are and are becoming. God wants your honest attention and availability more than piety and achievement. You will be grounded in the deepest promises of which we all need the most reminding – We are loved as we are. We are not alone. We are instruments of blessing, even when we don’t realize it. And I am praying you feel freshly empowered and equipped to approach your life with grace and curiosity. To surrender and trust amid your fears. To rejoice in your current life, even as you’re moving toward something else. You might awaken to sentiments you didn’t realize were harbored within you, and invite God to share in them. And you will say yes to the ash and the starlight in your own journey because there is no transformative power in what we deny. I am planning some pre-order bonuses (not quite ready!). If you preorder now (which I’m learning is extremely helpful and important in forecasting a book’s worth to sellers) you can receive these bonuses when they become available (in addition to my unending gratitude!). I am venturing into new and vulnerable territory, here. The marketing piece is one with which I am not only unfamiliar, but have also been uncomfortable. I am grateful to Anna LeBaron who put her hands on my shoulders last fall at the Ezer Collective (thank you again, Jo Saxton and Pastor Steph!!). She told me to view the publicizing as an offering to God and God’s people. If you have something you’ve created out of joyful love, and which you believe can help people, it is that which you are promoting. Not one’s self. Framing the marketing and publicizing piece in that kind of light has been just what I needed to keep stepping forward. I picture you, and that floods my heart with the love I need to keep going. Let’s spread the light and love of God in all the places we can, friends. Thank you for the ways you are a lamp and beacon. Thank you so much, Mary! So grateful for your support. Yay! Ordered and will be a wonderful birthday gift for me! I’m so amazed by your gifts and so glad the world gets to share in them! Thank you, my kind and dear friend. Means the world! You are such a gift to me. Precious Sally! You always know the advice and comfort/challenge I need to hear! Your wisdom, encouragement, and love have been such buoys for me at each juncture. Thank you, thank you, thank you. Warmest congratulations to you. I am so excited that your word and wisdom will be easy to pick up and read anytime. A beautiful gift you are sharing. I will be pre-ordering your book on Amazon. I will hopefully be able to have it on my Kindle as well. Love to you and the whole family. Bless and thank you, sweet Joanne! I will always remember the beautiful journal you and Bob gave me, and how that spoke to me your belief in my writing and your support of this cultivation. You have been such a blessing to me. I send you so much love. Dearest Susanne, you have been INSTRUMENTAL in this whole journey – offering your gorgeous gift of photography for this blog, voicing support for me to use in the proposal, and being an all-around-grace-filled friend in every stage. You and Larry mean more to us than we can say. So happy for you to be in the final stage of your book as it goes to the marketplace! I have pre-ordered my copy and look forward to the October release date. You are a blessing to us in so many ways. Love to you, Jeff, Eden and Simon. Thank you, thank you, dear Fran! How we miss you! You are such a light, and your encouragement blesses my heart more than you know. A big congratulations to you!! I got my order in and I am so looking forward to receiving it once released. This is a huge accomplishment! What a good way for Mary and I to connect with you again. Will be ordering the book and look forward to the messages that you are sharing with all of us. Bless and thank you, Wendell!! I have thought of you and Mary so many times. Countless. You are one of the best cheerleaders I know, and receiving your support blesses me deeply. The Lehns send all our love to you!! Congratulations, Arianne. I’ll order one for myself nd one for my sister and one for…. Your prayers are beautiful, luminous, comforting, uplifting. So congratulations and thank you. Thank you, dear Jane – from the bottom of my heart! I will never forget your encouragement of my prayer writing while I was with you at First Pres. Yours is a deep, aware, thoughtful soul. What a blessing to the world. Thank you, Gerri! You can pre-order either on Amazon or on Chalice’s website by searching for my title! Thank you so much for your support! I can’t wait to read and share your beautiful book! And what a wonderful way to think about marketing. I’ll remember that myself! Bless you for sticking with your dream. I love the cover, too! I’m so very proud of you, and blessed by your beautiful prayers. Oh, Kathy, there would be no book without you. You voiced the Spirit’s nudge, and I will forever be grateful to you. You are a blessing to so many, and a deep blessing to me personally. Continued prayers for your healing. So much love to and for you, Kathy! Kathy, you are the BEST. Thank you so much for how you continually encouraged me to pursue publication of my prayers. You were a carrier of the holy dream with me. Always kindreds. I love you! Thank you so much, sweet Kelli! What a gift to hear from you. I’ve been so inspired by your travel, adventurous spirit, and writing! We’ve long shared a love of words – I remember the short stories and plays we wrote in elementary school! Much love to you, and every good thing…. I am so pleased to read that your dream of writing your book is now your reality and how it will speak to a large audience of encouragement, hope and comfort. When I first saw the cover for your book, what came to me is the work of Jung and the shadow side we each have within us. Very inspirational! Thank you so much, dear Kris! I love the connection you made with Jung! His psychological work has such powerful spiritual implications for me! Our shadow side includes such beauty, and were are integrated wholes! You are right! Thank you for all of your love and encouragement. You are a treasure, Kris.